We pulled up to the desolate truck stop, our headlights shining on the sole person in the lot. Presumably she was our “sick” patient. She wore a pink head rag, dingy t-shirt and jeans, with even dingier keds carrying a bag full of her only possessions in the world. Her face showed a perpetual weariness that sleep would never cure. Not exactly how prostitutes are pictured on TV. “Yeah, I called.” she replied as she stopped in the bright glare of the lights with her hand popped up on her hip. “Well, what you want?” he shot at her. “Just got back from Boston and I have a rash. I wanna see the doctor.” she explained. “How long you had the rash?” my partner asked with a sneer. “’Bout a week.” our patient responded with a head bop, her voice starting to show her impatience with his questions. The interaction took a decidedly nasty turn and would have continued for a while as she was not going to “just leave” as my partner had hoped. I noted my partner’s exasperated sigh as I stepped out of the front and asked her to come to the side door so we could start the trip to the hospital and end this shouting match. After much consolation and introducing myself and asking what hospital she would like to go to this evening, she relaxed and started to explain her complaint of a rash and boils in her vaginal area and previous related history. I didn’t do much for her other than take her vital signs and ask questions. But, by the end of our trip she was so grateful that I was NICE to her. That I didn’t judge her for her life and previous choices and related to her as a human being. Honestly, I was only extra “friendly” at first because I didn’t want to have to argue the whole way to the hospital. By the end of the ten minute trip I was sad that she had to deal with these issues and the life associated with them. 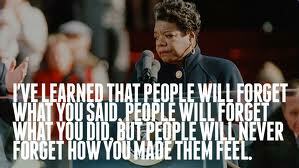 She affected me in a greater capacity than I could ever have hoped to help her. I am still thinking about her ten years later. We are privy to peoples stories every time we are dispatched. How often do we see these “stories” in a one dimensional light? How does this skew how we react to patients and how can it affect our patient care in terms of clinical treatment? Could we be harming our patients by viewing them from a preconceived ideal rather than as unique, three dimensional, human beings? Could sharing our humanity be a better prescription than any medication we carry or any protocol we develop? There are situations where it is not safe or permissible to share a part of ourselves with our patients. But, there are some opportunities where it is okay for us to be humans and relate on a different level with our patients. You don’t have to always know the right words to say, sometimes a genuine smile and your presence is enough. 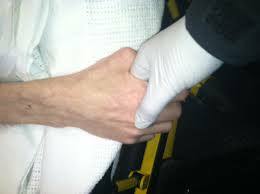 Holding a frightened patient’s hand is not passe. 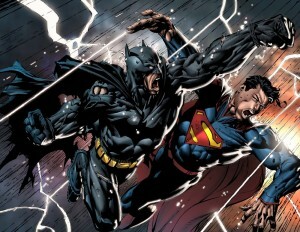 I recently had a discussion about what makes Batman a hero and Superman lame; my counterpart’s theory is that Batman is a regular guy saving people and Superman has special powers allowing him to save others. While he has awesome tools and a cool outfit, Batman’s superpower is his empathy and humanity. I submit that is our superpower as well. We don’t always have to wear the cape and tactical belt to be a “super” EMT or paramedic. Well said. May we heal the body with skill, the mind with education, and the soul with compassion.